Its that time of the month again, whereAnonymoushacktivist release a load of data from governments they have breached and this time the target is the Italian Government. The leaked data which was first posted to cyberguerrilla.org has been dedicated to Giuseppe Scopelliti and is the first part of a upcoming series of leaks. 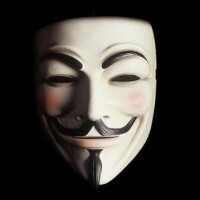 TheAnonymoushackers have stated that they have managed to infect all the personal computers of regional politicians: “we managed to infect most of the personal computers in regional administrations, mainly presidents of Calabria, Lombardia, Sicilia, Toscana, Campania and Puglia”. The Data has been posted to anonfiles as a 349mb rar file and a preview of the documents within it has been posted to imgur with 27 documents as previews from Scopelliti’s personal computer and mobile device. When uncompressed the leak is about 440mb with about 1000 files in PDF, doc and image formats. No Operation has been set for this but it is in support of the on goingAnonymous@OperationItaly and the agenda is to show how corruption in the Italian government has taken place over all regional administrations." https://plus.google.com/116984688098542094677/posts mor! :) ...NEW YOUTUBE for it! Survival Organic Seeds - SOS™ UP! In debt? Are you absolutely sure? An empowering, educational lecture and shocking exposé of the abuse of people through debt by Jon Witterick to New Horizons Saint Annes on the 20th of May 2013. Jon Witterick is an open, honest and highly informative speaker on the true nature of the fraudulent banking system under which we currently operate. He offers a unique insight into how the monetary system really works and how to deal with debt both lawfully and truthfully. He is the founder of the non-profit "Get Out Of Debt Free" website which gives information about the realities of the Global Financial System and offers solutions to those who are experiencing financial hardship as a result of it. The site now has a lively community of thousands of people from across seven countries. "We aim to provide valuable resources, and hope to offer a unique insight into dealing with debt, by acting honestly, lawfully and truthfully; not following the advice of Debt Counsellors, Citizens Advice Bureaus or Financial Advisors." Revelation upon revelation has shown just how corrupt and fraudulent the global banking system is. It appears to be run by unregulated private individuals behind private corporations with no accountability to the public. They really do create money out of thin air, and then sell it as debt to us and our governments... with interest. They do this, and we've fallen for it. 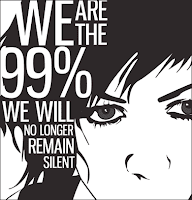 The Occupy movement across the world has shown that many people have had enough of it: they're starting to see through the scam. It is time that more people woke up to the true facts about money: it is essentially criminal, and affecting us and everyone we know. These people should be brought to account and the system changed to suit the needs of the people... the 99%! Make sure you share this video - Spread the information!! Let's free ourselves from their Debt Tyranny!! Please spread this video far and wide. It's time to take Action! Crisis, what crisis? Dispersion of Fukushima Radiation to the US & Beyond, by Air & Sea.